Rachel is the best! She knows the market and what to expect. We greatly relied on her expertise from start to finish, and would recommend her to anyone looking in or around the area. Rachel was great to work with and sold our house in less than 24 hours! We interviewed several local realtors and chose to work with Rachel due to several factors: she was very professional and knowledgeable, had an eye for detail and it was very clear that she loved her work. She is friendly, fun and loves selling houses -after getting to know Rachel, it is no surprise to me that she is so successful at what she does. After we had our home inspection, we had a few issues we needed professional contractors to handle. Rachel was able provide us with the names of contractors who were very responsive and reasonably priced. She was a big help in every facet of our home sale. I would definitely recommend Rachel Bodner to anyone who is looking for a realtor in this area! Rachel was wonderful to work with! We worked with Rachel to sell our house in Sudbury. We were in a bit of a time crunch, as our family was relocating out-of-state for a new job. A true professional, Rachel did very through market research, gave helpful advice, and helped us stage and price our home to sell quickly. She connected us with great painters, contractors, and other vendors who helped us get our house ready and on the market in less than two weeks. She also helped us evaluate and negotiate the multiple offers we received on our home. Even after our move out of state, she continued to work closely with us to complete the sale process. It was a pleasure to work with her and we highly recommend her to anyone looking sell (or buy) a home. We met Rachel in a bit of a real estate emergency, we were unsatisfied with our prior agent but were due to travel to Massachusetts within a few days to look at houses. Within minutes of reaching out to her agency, Rachel had called us back and went through an in depth series of questions to identify our wants and needs in preparation for our visit. She put together a list of homes that fit our wants and budget and had everything set up so we could hit the ground running. We were lucky to find a great home and Rachel was fantastic in helping us negotiate a competitive offer. Rachel was and continues to be a great resource in helping us navigate the purchase process and recommend services as we move in. We couldn’t be happier with the service and expertise Rachel provided! This is the second home she’s helped us find and buy and she helped us sell one, too. She gave great advice about staging, market assessments for pricing of the house we were selling, and was also a great asset during negotiations. She’s simply the best! Searched on-line for the best broker to sell my house. Tempted to go with low price broker. Glad I didn't. Rachel Bodner provided me with excellent advise and service from pre-listing to sale. Full range of excellent contacts for services related to sale. Fantastic in resolving "hiccups" in the transaction. Felt she was most instrumental in getting the highest price for my sale. Would recommend her without hesitation. Rachel is very knowledgeable about the market and always kept her eyes open for a house that fit our wish list. She is very easy to work with and was extremely responsive to all of our needs and questions. She worked with us until we finally found our dream home! We would recommend Rachel to our friends and family (and have)! Rachel was extremely knowledgeable, prepared, professional, and responsive. She advised us on improvements we needed to make before listing, provided an excellent recommendation for a painting company, kept tabs on how the work was going, made calls to expedite things as needed, and lent us pretty bedding, towels, and accent items to help the house to present well. Rachel found a buyer very quickly, and obtained an offer above the listed price. Altogether, the house-selling process was painless, and we were extremely happy that we chose Rachel as our realtor. We loved Rachel, she was amazing and so attentive in our needs. We will willingly recomend rachel to all our friends. She answered all our questions fast and with such knowledge, besides experience in buying a house I have ever had. Rachel was a pleasure to work with from start to finish! As first time homebuyers, we appreciated her willingness to patiently and thoroughly walk us through the entire process. She was able to help us understand a home’s value, negotiate our offer, and provide great recommendations throughout the process. She was always readily available to answer our questions, responding to calls, texts, and emails, and even put our offer together on a Sunday night! Rachel was essential to us finding and buying our first home. We highly recommend working with Rachel! Rachel helped us buy our new home. She was very responsive to our questions and needs. She always took our call and replied back to text/email immediately. Her knowledgeable about the local market was extremely valuable to us. I would highly recommend her as your Realtor. Rachel worked so hard for us. She started working with us over a year before we went on market and helped us figure out what we had to do to make the house sale-ready. She recommended vendors, offered to come over and look things over, and patiently answered our 1001 questions. She also helped us find a new property to buy and made savvy suggestions about when and how to make offers. She was available 24/7 to answer any and all questions and made us feel as if we were her only clients. She is a genuinely nice person AND has a ton of experience. We highly recommend her. As first time home buyers we had no idea how to start the process of looking for a home. Rachel was absolutely amazing and patient throughout our whole decision process. She passed her extensive knowledge on to us on how to go about buying a home. Once we found a place we loved she went above and beyond to get us the best deal possible on our new home in Southborough! We walked away as very happy official first time home buyers thanks to Rachel! Rachel Bodner exemplifies what a broker should be. Someone who understood our needs and stood by us until we found our dream house (and we did) – what sets Rachel apart is she’s always putting her client’s interests at the forefront. She always took our calls or got back to us immediately, she even accompanied us to the town hall to research lot sizes and was always respectful of our decision – we never felt pressured or pushed. Her consummate professionalism, honesty and dedication to her craft has uplifted the sometimes unsavory image some brokers earn, but Rachel has reinstalled our faith in the very valuable service a talented and dedicated broker provides. We will use Rachel again in a heartbeat and highly recommend her services. Rachel is the perfect realtor. She is extremely professional and personable. Rachel was extremely responsive and took care of every detail. Her knowledge of the market was extremely valuable and a tremendous benefit to us. We would recommend her without question. Rachel is so sweet, fun to work with, and knowledgeable. She had great, reputable connections and really helped us through each step as first time home buyers, and with new construction delays. She was so kind she even helped us out with our selections. She really cares about you and your new house! I would definitely recommend her. My husband and I were looking to purchase a home in the Metro-West area (Sudbury, Wayland, North Framingham). We needed to be within close proximity to Boston and major highway routes. We had been looking for over a year with no luck. It was not easy. I had spoken with my cousin in September of 2017 about our house search. My cousin knew Rachel Bodner and told me to "CALL HER RIGHT NOW!!!!" Following my cousins advice, I contacted Rachel the next day. Within a week (due to our scheduling) we met Rachel at her office in Sudbury. She was very knowledgeable of the market trends in the Metro-West in each town. Rachel also suggested, to look in Hopkinton and Southborough. We met Rachel in September of 2017. We closed on our home October 31st, 2017. I think that says everything. Rachel helped us find an incredible house in Southboro, MA. She was fantastic to work with and I plan to recommend her to friends buying in the area. She spent a ton of time with us on weekends and week nights as she showed us dozens of nice homes until we found the perfect one. She is very knowledgeable about all of the different towns and types of properties. She is also very easily accessible and answers her phone and email messages right away and you can contact her at any time. Rachel is very thorough and always came to showings very prepared. She provided informational packets with comps for each home we saw. We appreciated all of the time and effort she spent for us getting everything done for our new house. She even was an excellent negotiator and was able to get the sellers to agree to give us a generous cash credit at closing for us to put money towards repairs. It was a pleasure to get to know her and work with her. She was very patient and never pushy about us making a decision. HIGHLY RECOMMEND! nd supportive throughout the whole process. She knows the right people to get things done and her support didnt stop after we bought our house! She made what I thought would be exhausting work a breeze. Rachel recently represented me as the buyer in the purchase of a new construction townhouse in the metro-west area. Rachel is extremely knowledgeable, personable, and incredibly prompt when answering questions whether its engaging with the sellers agent, with the attorneys or mortgage broker. She was meticulous and very detailed in asking questions of the sellers in all of the walk-throughs with me during the construction phases, and held firm when there were challenges. Also - being a first time buyer - she definitely helped calm my fears of the home buying process. She helped me along the way in making decisions on areas to concentrate on looking at and was honest and upfront in providing her opinions on what was best for me when we looked at properties. She took the time to understand my life situation and where I am in my career to assess where to live and what I was looking for. I could not have asked for better representation in the buying process and her connections were invaluable. Everyone she recommended was extremely professional - basically she knows what she is doing and she is one of the best! I highly recommend Rachel to anyone! Rachel was a pleasure to work with. My husband and I purchased a home in Needham, which is no easy task in such a tough market. Rachel is very knowledgeable about the local market, she listened to our needs, and is a really good negotiator. I would highly recommend her. Rachel just helped us buy our new home. We were truly impressed with her responsiveness, professionalism and open-ness. Her knowledge of the area was top-notch. She provided us with fair and accurate information throughout the process, and coordinated the entire transaction. Rachel was amazingly responsive to ironing out wrinkles even at inconvenient times, and answered any questions we had. If we need to buy or sell in the future we will seek out Rachel's expertise. 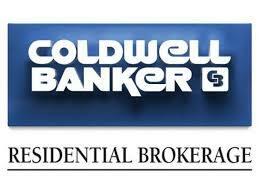 I cannot speak highly enough about Rachel Bodner, my agent from Coldwell Banker. I choose Rachel for her professionalism, knowledge of the real estate market, personality and her high standard to detail. She’s available not only during business hours, but evenings and weekends as well. Her answers are immediate, and her follow through impeccable. Not knowing anything about selling or buying a home, Rachel walked me through the process, listened to my concerns and made me feel comfortable throughout the process. She’s easy to work with, very positive, respected by her peers and a wonderful advocate on my behalf. I’m fortunate to work with her and could not have asked for a better experience selling my house and purchasing a new home. Rachel assisted my husband and I with finding our first home. She showed us a lot of great houses and had such good insight about the area. Rachel was always very responsive and worked quickly to get any questions we had answered. We were overseas when we actually put an offer on our home and Rachel made everything happen for us so we could close the deal from afar. She was easy to work with & so communicative! Rachel Bodner sold our house in Boxborough in 2014. She is an absolutely amazing realtor and it with great enthusiasm that I highly recommend her! She is an expert in her field. Whenever I had questions or concerns, she always responded immediately. Rachel told me exactly what I needed to do to get our house ready for sale and she sold it within 3 months. It was a pleasure to work with her. She is not only highly professional, but she is also warm, friendly and caring as well. Do yourself a favor and hire Rachel Bodner. You will be so glad that you did! I certainly was! We moved to Sudbury after selling our condo immediately. As time was of the essence, Rachel was extremely helpful in showing us all the availabilities in our price range. We were able to meet our very tight moving date thanks to her! She has excellent recommendations for any services you may need for your home and is well informed about the surrounding towns. Rachel sold my mom's condo within 4 days! I was very impressed with her knowledge of the market. She told me exactly what I did and didn't need to do to make the sale go through. Rachel has a lot of real estate experience and is a great negotiator! On top of my great experience with her, she brings a sense of humor with her, which is important when you are selling your biggest asset! Rachel was incredibly helpful throughout the entire process of our move. We REALLY appreciated all of her hard work, especially when we had last minute issues with permits and closing dates. We were so lucky to have her working with us to get everything done. She is a remarkably knowledgable, organized, efficient and understanding real estate professional! She was very easy to work with, and kept me abreast of all that was going on concerning the house. I would highly recommend her as your Realtor. She was great! I have bought and sold with Rachel and I'd do it again without question. She is honest and very astute to her clients' requirements. One of her most impressive qualities is communication and positivity. We never felt rushed or anything other than total attention from someone that working on our behalf. Her experience and knowledge, especially in the Metro West area, is impressive. My wife and I were interested in downsizing from our large family home to a smaller home in n nearby town. We have experience buying and selling real estate, and we were looking for an agent with excellent knowledge of the current market and a solid background and skill set. We reviewed many local realtor's credentials, listings, and sales histories, and we narrowed our search down to the most promising realtors. After interviewing them, my wife and I chose Rachel, and we never looked back. Rachel helped us understand the market conditions at our price range and price our home properly. She created a lot of buzz for our property though eye catching pictures, and an enticing description. After a realtor open house and a general open house, we had multiple offers, and we accepted a full price offer for our house. Rachel was recommended to us by a friend who worked with her last year (we've since passed her name on to our friends too!). Immediately, we felt at ease in a hectic market because Rachel knew Sudbury so well -- giving us insight into neighborhoods, past sales, and the kinds of houses we should expect to see based on what we wanted. Rachel, was recommended to me by my companies relocation department. She was very proactive and responsive to all my requests and needs in helping me to find a house in the Boston area. I was able to provide her the specifics I was looking for in a new home and she set up a search engine that provided me listings of properties that fit my requirements. I utilized that list to select the properties I wanted to visit. I ended up purchasing a home from that list that she provided. She was very helpful, supportive and knowledgable on all aspect of the home purchase and closing requirements here in MA. She also provide me with excellent recommendations for painters, house cleaners, pest control, churches, doctors etc. Rachel was very responsive and highly professional. She got the job done! I would highly recommend her to any friend or neighbor! She helped me pick out pain colors and really staged our home well. She will get the job done for you too! We are so pleased we partnered with Rachel on the sale of our home! She was extremely responsive -- always there for us. She helped us the whole way through the sale -- from appropriate competitive pricing, through offering suggestions for contractors to do some minor repairs to get our home ready for sale, to helping us ensure our home showed well. All in all, our home sold in 6 weeks, and that was during a period when we were hit with snow storm after snow storm! I highly recommend Rachel to anyone who is looking to put their home on the market! My husband and I had a superb experience with Rachel. She is an absolutely amazing realtor. We cannot recommend Rachel enough. We had a very narrow window to find a house as we were relocating from out of state and had to fly in for a few days to house hunt. Rachel understood our needs immediately and organized a super packed, intense schedule for us. She devoted a tremendous amount of her time and effort to ensure we had a comprehensive search. We saw 30+ houses in multiple towns in the western part of greater Boston! She was able to answer all of our questions, and if she was not sure of something, she will get the information for us within minutes. Rachel would respond immediately to any questions we had via text. We always had a response almost immediately regardless of the day or time. We were extreamly impressed with her efficiency, knowledge, contacts, etc. Thoughout our search, Rachel provided valuable advice re possible concerns and things to watch out for without putting any kind of pressure on us. She was willing to spend as much time as we needed to find the right house for our family. My husband and I met Rachel in the spring of 2012 when we had begun a very 'early stage' search for a new home. We met Rachel at an open house and really liked her immediately. She was kind, professional, very knowledgeable and, most importantly in our eyes, not at all pushy. Rachel gave us the time and space to look around and as we were leaving she offered to send us listings for the towns we were looking in and when we let her know that we were really only looking to get a sense of the market as opposed to looking to buy at that time, she thanked us for coming by and that was it. 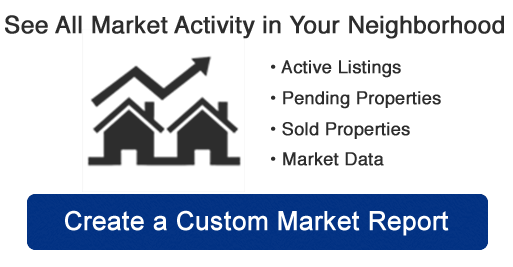 We left feeling like she would absolutely be someone we'd like to work with when we were ready to buy and we reached out to her very soon thereafter to request that she send us listings. :) Our official house search did not begin until the summer of 2013 and it was an easy decision to contact Rachel to ask her to work with us as Buyers. Rachel was happy to help and showed us many, many homes. At no time did we feel like we were taking too much of her time, or being too fussy, and she was always so pleasant and it was always so nice to see her. In early September 2013, we found our dream home in Bolton, MA and Rachel very efficiently and effectively represented us and our purchase process was as smooth as can be, no hiccups! :) When we go to move again, Rachel will be the first person we call! As an out-of-state relocation, Rachel was invaluable as our “boots on the ground”, helping us before, during and after the move. We especially appreciated her proaction, attention to detail and responsiveness - her passion for her profession is clear! Rachel was a pleasure to work with, I can’t imagine going through this relocation with anyone else, and I highly recommend her. Rachel did a great job! She was able to set up a full day of showings right after we contacted her and helped us make a solid offer right after the showings. In under 5 days, we found the house we wanted and had our offer accepted.